In every business advertising is very important so people will know what your products and services are. No matter how nice and good your business is it will not be known unless someone advertise or market it to prospective clients. Thus it’s advisable to use marketing strategies and devices to promote your best products for the consumers and would-be clients. Nowadays it’s easier to do it because we have social networking where you could use as a channel to endorse the products. You could also use online advertising through blog sites with heavy traffic of visitors. These are some of the best-known ways on how to introduce and market your products online to people who didn’t know what you have to offer. But when you talk of real promotions and advertisements offline help there are various recommendations from Monster Displays. They create easy to setup and portable customized trade show displays for their clients depending on specific needs and requirements. 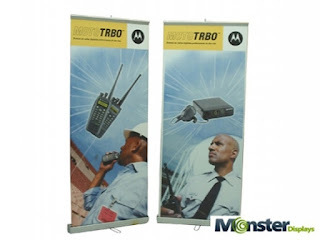 They offer various styles of displays such as modular display, outdoor display, custom display, panel display, pop-up displays, tension fabric display, truss display, sustainable exhibits and varied styles of banner stands. They also have accessories for their displays like workstations, kiosks and pop, trade show flooring and graphics and a lot more. 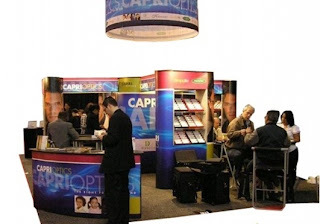 Sometimes our company participates in trade show exhibits and I have to admit that these kind of custom displays and banner stands help a lot in attracting the attention of clients. We used retractable banner stands in our last trade show exhibit and it gave us an attractive and informative background for our booth.